Well, here we are at the end of March, and it’s time to celebrate Springtime. Those of you who are looking at your calendars might think that March 25th is a bit late to mark the arrival of Spring, but then it’s taking its own sweet time arriving in our neck of the woods. In fact, you might say that this puzzle is not so much a celebration as a plea for Spring. 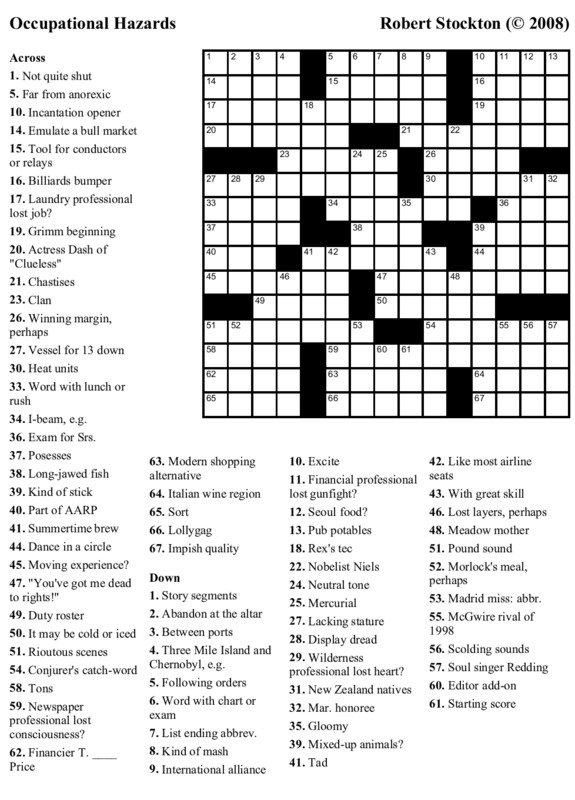 On the other hand, we may hope that you, gentle reader, are out enjoying the passing of Winter and that this puzzle will help you rejoice in your good fortune. If not, perhaps it will help distract you from the dreary view out your window. Either way, you win. Our dedicated reviewers have examined this puzzle, rubbed our noses in our mistakes, made us clean up our messes, and pronounced it adequate. (They’re a tough crowd.) Further, they have adjudged it to be roughly Tuesday-level on the NYT scale. You can, however judge for yourself by downloading and working the puzzle in your favorite format: either as an Across Lite file or a printable PNG image. Enjoy! Welcome back. We’re back on schedule, and ready with a new puzzle in honor of the downtrodden professionals in today’s modern work-force. 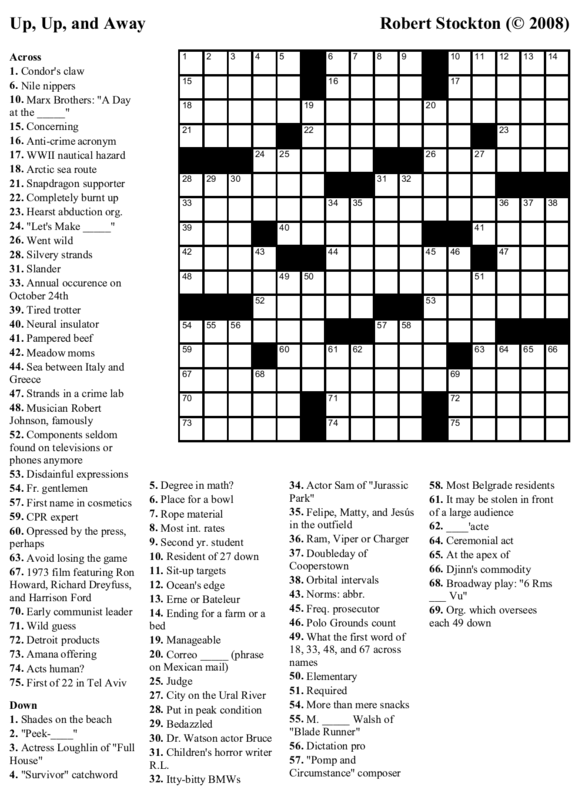 Why don’t you take a break, sneak away from those claustrophobic cubicles, and enjoy a nice crossword. 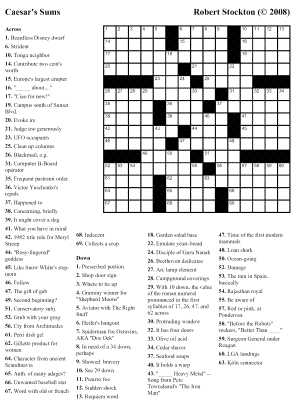 Alternatively, if you can’t find a nice crossword, you could just work the one we have for you right here. This puzzle has been reviewed, corrected, and then approved by our panel of experts, who have rated it as a Tuesday/Wednesday on the NYT difficulty scale. As always, you can retrieve and work it in your choice of formats: either as an Across Lite file or a printable PNG image. Happy solving. Welcome back. The Beekeeper crew is now back from vacation, freshly rested and ready to provide you with your weekly dose of crossword satisfaction. This week’s (slightly delayed) offering is inspired by our adventures in travel — don’t ask: it wasn’t pretty — and was mostly written while in transit. It has, as usual, been reviewed by our esteemed panel of judges, and rated as a Wednesday on the venerable NYT difficulty scale. 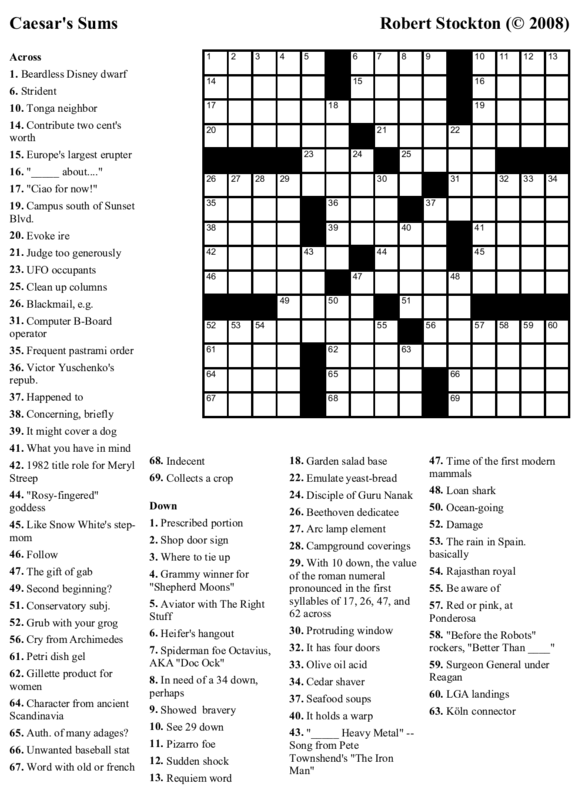 As our returning visitors may have already guessed, this puzzle is available in the usual two formats: either as an Across Lite file or a printable PNG image. That’s right folks, we here at Beekeeper Labs have done the unthinkable and actually taken time off from work. So severe was this deviation from the norm that we haven’t even stopped to work up a new crossword puzzle for you. But fear not — the puzzle will appear. It will just be a day or two late. Check back on Friday, and we should have something for you, and stop in next Wednesday at the usual time as we return to the usual grind and the usual schedule. We’ll see you then! 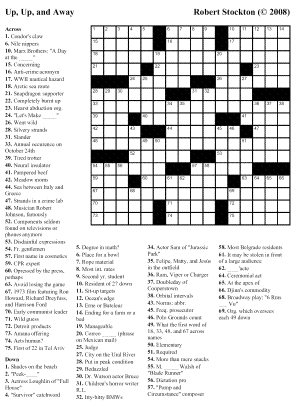 Well, it’s Wednesday once again, and we’ve got a most excellent crossword for you. 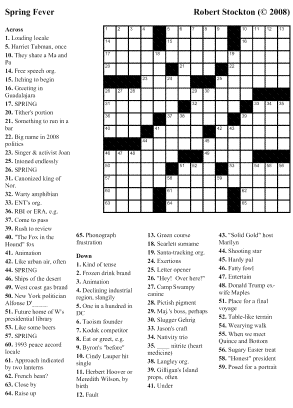 However, it’s been a very long day, so we’re going to just sit back and let the crossword speak for itself. Given the whole “most excellent” thing (see above), we think you’ll like what it has to say. 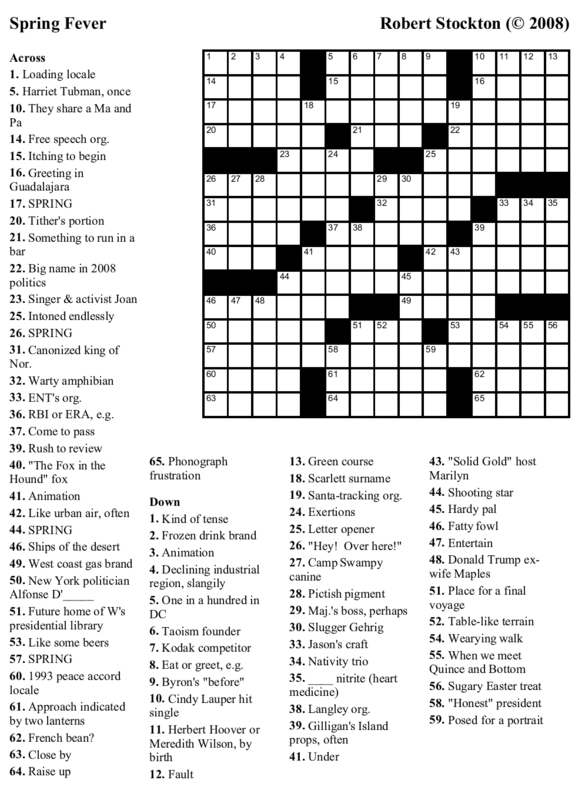 This crossword has been evaluated by our trusted rating panel and judged to be Wednesday level on the New York Times scale. It is available for download in either Across Lite or printable PNG format.